Dine Alone Records and Mill Street have teamed up to bring Ottawa music, beer and good times with the Hopped and Confused Festival. The event will take place on August 25 and 26 at the Mill Street Brew Pub in the nation's capital, and the lineup of performers has just been revealed. The Trews, Yukon Blonde, Said the Whale and Sam Coffey & the Iron Lungs will perform on Friday evening (August 25), while Saturday's show (August 26) will feature Tokyo Police Club, Hollerado, Dilly Dally and New Swears. Tickets are going for $41.50, though a $71.50 VIP option is also available. Purchase passes here. 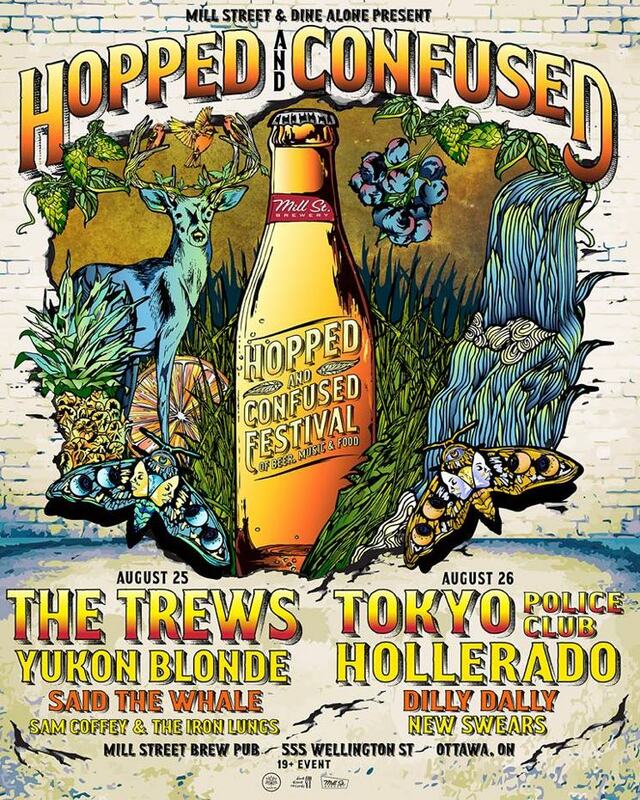 Learn more about Hopped and Confused and other summer festivals on Exclaim! 's Summer Festival Guide.